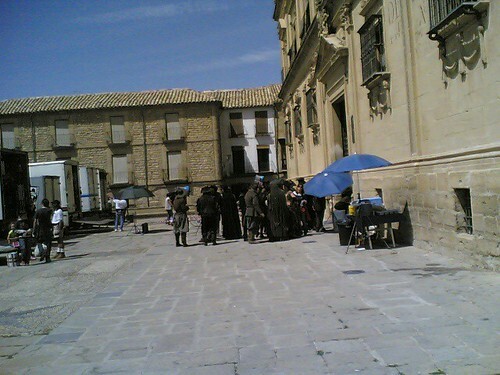 Alatriste, an action-packed movie filmed and produced in Spain, which will be released next week in Spanish screens, and in December elsewhere, was in part shot in Úbeda, my home town. Props were all over the historic part of the city, and lots of pics were taken by locals, which acted as extras. I took a few myself, like this one. this movie is getting so much hype. it is becoming a spanish must see.